Welcome to language-easy.org! 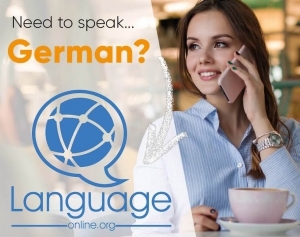 Well, as you have clicked on this article, I suppose that you are ready to learn everything about a basic element of German grammar, the German dative. Well, to many of you, this German case might sound quite familiar, as it also exists in the English language. Of course, here we call it also indirect object and it is often indicated by the prepositions “to” and “for” or pronouns like “me, him, us, them” and so. Although the German dative has a similar usage, its construction is completely different. In the following, I’d like to do a first description of the German dative. Of course, we also need to talk about the usage of the German dative and find out how to determine this German case. After that we will have a look at the declension of noun in the dative and, finally, examine some exceptions from the declension. By the way, in case you’d like to have some additional information about German conditional clauses, just have a look at this article on Wikipedia. Hopefully, it will provide you with all the background information that you need. And now, let’s not lose too much time and come to the first part of this article and talk about what the German dative case actually is. Auf geht’s! Well, let’s come to the first point of this article and talk about the dative case. First of all, we should clear up what the German dative case actually is. So, try to keep in mind the following description. The German dative, also known as dative object or indirect object, is the person or thing receiving the indirect action of a verb. As already mentioned, the usage of the dative is actually quite familiar to English speakers. Nevertheless, there are huge differences: In German grammar, the dative case is marked by changing articles and noun endings. Furthermore, we use the dative case after certain verbs and prepositions. Now, I’d like to present you a list about the correct usage of the dative. First, nouns in the dative case in German after certain verbs (dative object). Third and last, we use the dative case as he indirect object in sentences with more than one object. Hopefully, the correct use of the dative case became clear to you. Well, it is important to mention that sometimes you will hear, that the German dative can be found by asking the question “Wem oder was?”. Unfortunately, asking this question does not make too much sense for English speakers. So, the only real way to determine the dative case is remembering the list above. Now, let’s come to the next point of this article and talk about the declension of nouns in the German dative case and, unfortunately, some exceptions. Now, let’s come to the declension of nouns in the German dative case. First of all, we will have a look at the following table which will show us the declension of articles. After that, we will talk about some exceptions from the rules of declension. Unfortunately, there are also some exceptions in the declension of nouns in the German dative case. But, don’t worry. Here, we will try to name all of them. First, we should add “-n” or “-en” to some masculine nouns in the accusative, dative and genitive cases. So, there are masculine nouns ending in “e”: “der Stumme – dem Stummen”. Also masculine nouns ending in “ent”: “der Agent – dem Agenten” exists. And finally, there are other, for example “der Herr – dem Herrn”. Second, we have to add an “-n” to the plural nouns in dative, but not to plurals that end in “-s” or “-n”. Well, examples would be: “die Eltern – den Eltern”. Unfortunately, there are some irregularities when it comes to forms in the dative plural. In the following, I’d like to list up the most important exceptions. First of all, you should consider that the word ending “-e” is necessary for nearly all the German nouns consisting of one syllable. But there are “Umlaut”-changes and an “-en” ending in the dative case. So, just have a look at the German word for ‘coat’: “der Mantel” becomes “den Mänteln”. Second, there are also many many ‘Umlaut’-changes for nouns in the masculine and neuter. Whereas these nouns usually have a “-er” ending, in the dative case this slightly different: They end in “-ern”. Well, an example would be “die Mutter” (the mother), which becomes “den Müttern”. Last but not least, there is some good news: Most of the nouns in the neuter and masculine nouns in the plural with the endings “-el”, “-er”, “-lein” and “-chen” simply end in “-n”. Well, in some cases there might just be some ‘Umlaut’ changes, as you can observe in “das Fenster” (the window) – “den Fenstern” for example.